Broadford Library: WW1 - Read All About It! WW1 - Read All About It! The display in the library includes the names of the 26 brave soldiers from Harold Wood who lost their lives during WW1. This weekend we remember those who fought in the First World War, celebrating their lives 100 years on. In the library we have a selection of books - both fiction and non-fiction - that teach us about the war and what life was like for the brave soldiers who were called upon to fight for our country. Please take a look during your next visit. Read one of our First World War books and receive a special WW1 certificate! Want to know more about the First World War? 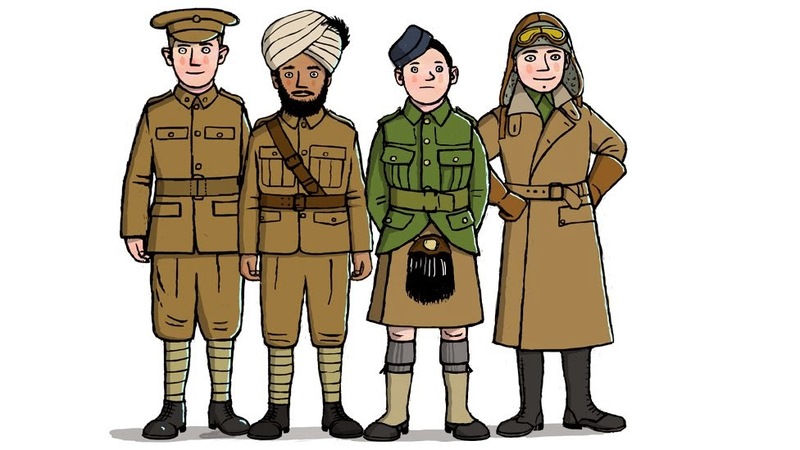 Click on the soldiers above to visit the BBC website and find out more about joining the army in 1914 and what the soldier's lives were like. Sneak Peak - 12 Days Of Christmas Stories! Abie Longstaff Is Coming To Broadford! Check Out Our New Games! We Enjoyed Tasty Hot Chocolates!